If you love peanut butter and chocolate (I do! I do!) and you have not made these cookies yet, GO MAKE THEM RIGHT NOW! 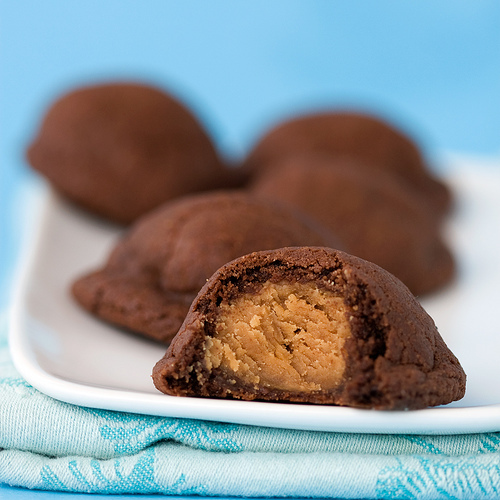 These are Vegan Chocolate Peanut Butter Pillows from “Vegan Cookies Invade Your Cookie Jar” by Isa Chandra Moskowitz and Terry Hope Romero. My best friend is an AMAZING vegetarian/vegan baker and made these this past weekend. I could not get enough of them! « My First Race in 12 Years!